1079 @sweetsssj Miss. Delicious #93 : The private dinner dream in Ayada, Maldives! 1035 @jerrybanfield Upvoting vs Voting Bots on Steem! 1026 @qurator The Daily Qurator #250 - 250 days of Qurator! Comment and win a $5 upvote! 1021 @bigdeej Royal Wedding? WHO CARES?! 785 @gringalicious Travelicious NYC: 1ST OFFICIAL DLIVE MEET-UP! 518 @dimimp I just finished the space force hiring process - I think I did pretty good - I only hired 22 sock puppets! 186 @sweetsssj Miss. Delicious #93 : The private dinner dream in Ayada, Maldives! 167 @abh12345 The Curation and Engagement Leagues - More than 25 STEEM in prizes this week! 152 @bonniepiesse Jumping into Dlive—A proper video introduction!! 516.61 @bonniepiesse Jumping into Dlive—A proper video introduction!! 505.14 @gringalicious Travelicious NYC: 1ST OFFICIAL DLIVE MEET-UP! 445.18 @sweetsssj Miss. Delicious #93 : The private dinner dream in Ayada, Maldives! 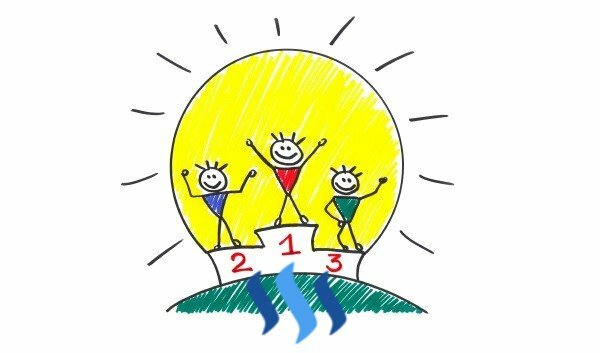 check this out if your want to be successful on steemit.